There’s a saying that “growing older is inevitable, growing old is an option.” Growing up, that’s another story. I’ll let you know when — and if — I do. And here we are, another year has passed, it’s Rosh Hashanah again, and in 10 days it will be Yom Kippur, the most solemn and perhaps difficult day of the year for many of us. My experience of these holidays has changed significantly over the past several years. Serving first as the hazzan and now as the rabbi, not only does the time spent in services pass more quickly than it did when I sat in the congregation, I have a different perspective on the liturgy and the concepts that are particular to this time of year. Our tradition teaches that on Rosh Hashanah, God begins to think about our fate for the coming year, and inscribes it in some heavenly Book of Life. Then on Yom Kippur, that book is sealed; although there are those who believe we have until Shemini Atzeret, nearly two weeks later, to present our case for a good year. One of the most problematic pieces of our liturgy is the Unetane Tokef, and no matter how beautiful a melody might be composed for it, many modern worshippers still don’t like it. When I say “modern worshippers,” I’m not just talking about us sitting here; I’m willing to bet that it has caused discomfort since it was composed. I’ll spare you the tragic legend associated with it because it’s yucky — and probably didn’t happen — but the prayer is something we’ve been grappling with, struggling with, for hundreds of years. What we’re really struggling with is our mortality; the fact that eventually, we’re all going to die. We live in a time when advances in medical science — many coming from Israel, I might add — are helping to prolong not only the length of our lives, but the quality of life in many instances. Here in the United States, we tend to see death and dying as something to be fought against, a war to be won. There’s no question that our actions, behaviors and mindsets — along with what we eat, drink and breathe in — can have a significant impact on our lives and how we feel. But there are people who appear to do everything right — eating healthy foods, exercising, meditating — and still get inoperable cancer or have a congenital issue that causes a tragic and untimely death. And that doesn’t include causes of death outside of ourselves, like — God forbid — violence, accidents and natural disasters. In a sense, this is the point of the b’rosh hashanah paragraph of the unetane tokef. We live in a random world. Personally, I don’t believe that God gives people expiration dates like they put on milk cartons, but we’re often hard-pressed to explain why one person recovers from a particular illness while another doesn’t. Some of it has to do with our actions; at least theoretically, if we take our medicine, we can cure what ails us, and if we don’t take it, we might not notice a difference for quite a while, but we can’t see inside ourselves to know what’s happening. If my diet is largely made up of what I consider to be the four major food groups — coffee, Ben and Jerry’s, cheesecake and kasha varnishkes, I’ll manage for a while, but eventually my body will rebel. At the end of the b’rosh hashanah paragraph, we say u teshuva, u tefillah, u tzedaka maavirin et roa ha gezera — “And repentance, prayer and righteousness avert the severe decree,” Another way to translate this is that these three activities “help the harshness of the judgment pass.” This does not mean that fine, upstanding people who pray, give to charitable causes and atone for their sins will never suffer illness or die. What it does mean is that we have a God-given mandate to engage in these activities in order to take care of ourselves and to be of benefit to others. Like the song goes, “you’ve got to change your evil ways, baby,” if I start cutting down — notice I didn’t say “cutting out” — the amount of cheesecake and ice cream I eat, and replace it with lean protein, fruits and vegetables, go for a walk and adopt healthy habits, I should start noticing a difference in how I feel, and hopefully that will help me to become stronger and healthier in the future. This is teshuva, a turning around or turning back from the habits that were keeping me from being as healthy as I might be. Asking God to forgive me for the sin of not eating healthy foods won’t mean a thing unless I forgive myself for being human, accept that I need to change my habits and work to make more positive choices moving forward. Woody Allen is quoted as having said, “I don’t want to achieve immortality through my work; I want to achieve immortality through not dying. I don’t want to live on in the hearts of my countrymen; I want to live on in my apartment.” That could work. There are those who would argue that if it hadn’t been for a serpent, a man, a woman and a tree, that perhaps we’d all be immortal, although it would be an awfully crowded apartment. The Garden of Eden was a pretty idyllic place to live. Adam and Eve didn’t have anything to worry about; they didn’t need clothing, fruits and vegetables were plentiful and easily accessible, and from what I can gather, they got along with all the animals. They had no cares, no worries, no sickness, just life in — well — the Garden of Eden. They also had no ambitions, no work to do, and we might say, no purpose or meaning in their lives. They knew that God had threatened them with death if they ate from a particular tree, but did they have any concept of death, or what it meant? The Torah records very little in the way of conversation between God and Adam, and no conversations either between God and Eve, or between Adam and Eve, although we might assume that Adam did pass on God’s warning, mi kol etz hagan achol tocheyl, u may etz hada-at tov v’ra, lo tocheyl mimenu, ki bayom achal-cha mimenu mot tumat, “You may surely eat from every tree in the garden, but you may not eat from the tree of the knowledge of good and evil, because on the day you eat from it you will surely die.” One of the first things a parent of young children learns is that if you’re going to make a threat, you’d better be prepared to follow through. God doesn’t follow through, or maybe God does. Adam and Eve both ate the fruit from the Tree of the Knowledge of Good and Evil, and they didn’t drop dead on the spot. If they had, the story would have ended there. When Eve encountered the serpent that wanted to entice her to eat from that tree, she repeated the instructions, but the way I understand the text, she might have had doubts about the punishment. God’s words to Adam were, mote tumat, “you will surely die,” But what Eve repeated was, pen t’mutun, “perhaps, or ‘lest’ you will die.” The serpent told her that they wouldn’t die, but that “their eyes will be opened, and they will be like Divine beings that know good and bad.” That seems like a reasonable risk to take. Perhaps Eve intuited that the threat was not of a physical death, but the death of the idyllic life they had, a life that seemed perfect, but that in reality, was meaningless and unproductive. Consider that Adam and Eve don’t have children until after they’re expelled from the Garden, and you can see my point. Adam and Eve needed to leave the Garden in order to become fully human, and for humanity to evolve and move forward. The knowledge that now they had a finite time on earth — as opposed to immortality — along with the need to work for their sustenance, gave new meaning to their lives. Personally, however, I could do without the part about the snake hanging around my heels. Change is difficult; it usually involves leaving behind something familiar, something comfortable. We mourn the loss of what was, even though we know we might be moving into something that will ultimately be better for us. When I did chaplaincy training, I was taught that every person I saw in the hospital, long term care or rehab facility was experiencing some sort of loss. Even the person who insisted, “I’m fine, I just had a knee replacement and I’ll be back to running marathons soon,” was mourning a loss. It would take more than knee replacements for me to be able to run marathons, so it’s a bit hard for me to relate to that particular situation, but the reality is that this person is dealing with multiple losses — he’s not home with his family, or he misses his daily walks with his dog. He’s losing time from work. He’s also worried that he won’t regain his previous physical capabilities, and perhaps most of all, this surgery — and the events leading up to it — have shown him he’s not invincible. No one likes to acknowledge his or her mortality, and when we do, it brings up a variety of feelings, thoughts and concerns: Where are we in our lives? What have we done so far? What do we still want to be able to do, and what do we have to accept we’ll probably never be able to do? There’s a reason for the proliferation of books and lists of 100 or 1,000 places to visit, books to read, recipes to cook, albums to listen to, people to meet, etcetera, before you die. Several years ago, after my husband and I watched the movie, The Bucket List, he asked, “So what’s on your bucket list.” I answered, “I want to live long enough to be a burden to my children.” That feeling hasn’t changed. Yes, there are places I’d like to go, things I’d like to accomplish, but other than spending time with friends family, and I can’t think of anything I’d drop everything for if I were suddenly given a deadline. We’ve all heard some version of the phrase, “Live every day like it’s your last one.” I wouldn’t be surprised if the sentiment is based, in part, on a story from the Talmud. “Rabbi Eliezer said: “Repent one day before your death.” His disciples asked him, “Does one know on what day he will die?” Rabbi Eliezer replied, “All the more reason he should repent today, lest he die tomorrow.” I’m not advocating the hedonistic suggestion of the first phrase, or the possibly extreme piety we might associate with Rabbi Eliezer’s teaching, but I am advocating keeping these both in mind as we go about our daily activities. Did we hurt someone, inadvertently or on purpose? Let’s not wait to make amends. Did we choose to stay home and clean instead of joining a friend on a hike? Were we too busy working to go to our kids’ ball game? On the positive side, did we make the world a better place by our actions today? The fact that we have the ability to extend a person’s life doesn’t always mean that we should, or that the extended life will be much more than an existence. Dr. Atul Gawande is a practicing surgeon in Boston who specializes in cancers of the endocrine system. He is a professor, writes for the New Yorker Magazine, has authored 4 books, is chairman of a non-profit and CEO of another organization, he’s an expert in patient safety in hospitals, and is a husband and father of 5. And that’s before coffee. Dr. Gawande’s latest book is called Being Mortal; Medicine and What Matters in the End. It’s a phenomenal book where he alleges that the medical establishment in the US is failing not only our elders, but people of all ages with terminal and debilitating illnesses. He also offers solutions based on positive models. One of Dr. Gawande’s goals in his book is for the reader to view and accept death as a part of life, and to empower a person to make conscious choices about the rest of his or her life. He writes about a woman who was caring for her father, a man who was suffering from cancer. She wanted the time he had left to be meaningful, not an endless round of medical interventions with questionable outcomes. She asked him what he wanted to be able to do, and he said he would be happy as long as he could “Drink beer and watch football.” Most of us want more than that out of life, but by understanding what was important to her father, she was able to work with his providers to ensure the quality of life he wanted, and that he would be most likely to die on his own terms. That’s something we can all do, and we don’t have to be elderly or ill beforehand. What we do need to be is thoughtful, and what better time to do this than on Rosh Hashanah and Yom Kippur? Creating a life with meaning, creating a sacred future, and being able to look back on a life well lived; that’s not rocket science. 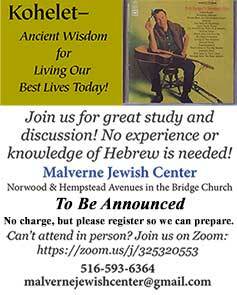 Rabbi Richard Address, in his book Seekers of Meaning, uses biblical texts as a guide for people of a certain age — specifically baby boomers and older — to show how Judaism can help us to pursue Healthy Aging. One text, from the book of Genesis, begins immediately after Adam and Eve ate from the forbidden tree. They knew they had disobeyed God’s order, and when they realized they were naked, they were afraid, and they hid from God. Rosh Hashanah is a time to think about our purpose in life and to wonder what meaning, what purpose and what opportunity is looking for us. Through our printed prayers, as well as those in our hearts, we can be present with God, regardless of what each of us believes God’s role is in our lives. As God called out to Adam and Eve in the Garden, God calls out to us, today and always. The questions change as well, but at any given moment, we can stop and imagine God asking us, ayeka, where are you?